If you’ve decided to explore automating your home with smart plugs, congratulations! Smart plugs are easy to install and set up and add a powerful level of control and convenience to your everyday life. There are so many uses for a smart plug, and you’ll be thinking of more all the time as you live with these intelligent devices every day. 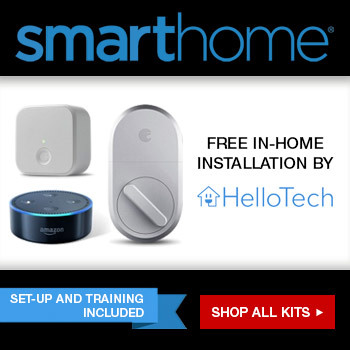 If you want to go a step further and connect your smart plug to your existing home system, like Google Home or Alexa, it’s not that hard to do. Helpful tip: Rename your plug something specific and memorable, based on what it controls, to make voice commands easier. Names like “master bedroom lights” or “kitchen speakers” work best. Again, the specific instructions will vary a bit depending on the plug and your system, but most smart plugs are easy to install and set up. Basically, you will use a smart plug to turn on or off whatever device is plugged in to it, using the manufacturer’s app or your home system. These three ways of using a smart plug lend themselves to a variety of uses, and the possibilities are endless. Those are just some of the ways you could use a smart plug, and once you start enjoying this level of customization and control, you will think of hundreds more. But here are a few more ideas to get you started. Smart plugs are easy to use and convenient, even for simple issues like declining mobility or hard-to-reach outlets. In your home, you will find dozens of ways to simplify and customize your life, while saving you money and gaining peace-of-mind in the process. Smart plugs are also inexpensive, making it easy to start with one or two, and adopt more over time as you discover more ways to use them. And integrating smart plugs with Amazon Alexa, Google Home, HomeKit, and other home systems adds power and versatility to those systems, making them even more useful and efficient. Controlling your home with simple voice commands is the wave of the future, and smart plugs make it easy to get there.